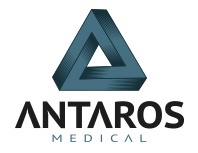 Antaros Medical is pioneering imaging methodologies to design and deliver clinical imaging studies for improved, evidence-based decision making in drug development. The company is specialized in cardiorenal/metabolic diseases (incl NAFLD/NASH and CKD) and oncology. The company has today a global network of collaboration partners and customers, including both big and small drug developing companies, and is a partner in several European collaboration initiatives. Bio Preventive Medicine Corporation (BPM) is a clinical-staged biotech company. BPM has been focused on translating validated and IP-protected biomarkers into diagnostic solutions for unmet clinical needs, especially in DKD and non-proteinuric renal disease. Our first product, DNlite, is a non-invasive urinary test for predicting/monitoring the progression of Diabetic Kidney Disease (DKD). We can help partners in the development of drugs not only for evaluating renal efficacy but also renal safety. IQVIA Biotech offers biopharma and biotech companies a solution suite to help them reach their drug development and commercialization milestones. With simplified operating procedures, specialized teams, and service IQVIA biotech delivers a transparent and streamlined process from initial planning to trial design and implementation to market launch and commercialization. Frenova is the world’s only drug and medical device contract clinical development services provider dedicated exclusively to renal research and its adjacent conditions. As a Fresenius Medical Care North America company, Frenova manages clinical research assets and resources including over 450 principal investigators at more than 260 sites representing 160 medical practices. Frenova’s F1RST Up® network of select investigative sites provides sponsors with accelerated study startup, while Frenova’s SMO manages clinical research staff and streamlines trial operations to help investigators enroll more patients and perform more studies. NephCure Kidney International’s mission is to accelerate research for effective treatments for rare forms of Nephrotic Syndrome, and to provide education and support that will improve the lives of those affected by these protein-spilling kidney diseases. NephCure is a U.S. tax exempt 501 (c)(3) public charity established in 2000. Biorasi is an award-winning CRO accelerating nephrology clinical development for companies around the world. Biorasi delivers faster, higher quality trials in challenging renal indications by combining an industry-leading patient engagement program and a best-in-class data sciences department, all backed by a full-service global CRO for exceptional nephrology trial delivery. DiscoveryBioMed, Inc. (DBM) is a boutique R&D and CRO biotechnology company that leverages human cell platform technologies for drug discovery and validation in renal, respiratory, and metabolic therapeutic areas. DBM currently offers highly advanced 3D human cell based in vitro cyst forming models of Polycystic Kidney Disease (PKD) with development underway for a similar system for Chronic Kidney Disease (CKD). To learn more, visit our website or contact MRedmann@DiscoveryBioMed.com for inquiries about available services.